Was Johann Sebastian Bach Western classical music’s “last Asian composer”? The question was raised in Bombay in March at a seminar celebrating the 300th anniversary of the birth of the great German composer. The seminar focused on one of Bach’s final works, the famous Art of the Fugue. This is a collection of inter-related pieces, which demonstrate the composer’s incomparable ability to compose various styles of counterpoint, especially that of the fugue itself. He was one of the last musicians of the great polyphonic style, a style in which melodies are blended together and yet retain their own characters as individual lines. In Bach’s music, the result was a gloriously intricate harmonic texture as well. The seminar was centred on the lecture of Dr Werner Breig, a Bach specialist from the University of Wuppertal in West Germany. Through his incisive analyses, he revealed the many aspects of Bach’s creative genius, so that we came to realise that many of the facets or parameters of this 18th century composer’s music were remarkably similar to the techniques and substance of the Hindustani and Carnatic traditions. When Bach was born on 21st March, 1685, Germany was not yet a nation in the modern sense. It was a collection of assorted states, rules by princes (electors, barons, margraves, and the like), with a wide variety of sizes and characteristics not unlike the feudal states of India. The most unifying factor was the powerful Christian Church. A musician’s employment was at one of the princely courts or in the church, and the resulting system of patronage is directly comparable to the tradition that prevailed in India until the 20th century. 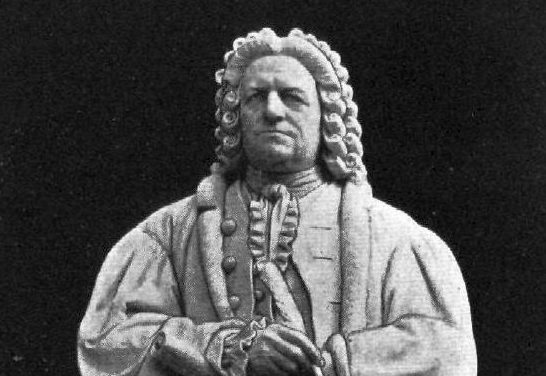 For Bach, both the church and the court offered support and occasion for his skills as a performer and composer. For most of his active musical life, though, it was the Lutheran Church that provided for him and his large family while demanding his richly abundant musical energy. His credo was that music was “for the greater glory of God,” and he even appended this motto in Latin to his musical manuscripts. It was an attitude not so far removed from the idea of Nada-Brahma, which has attuned shastriya musicians for thousands of years. If Indian classical music was given a new direction by the Bhakti movement, then certainly a similar statement can be made about the music of Bach. The name Bach means “brook” in German, and Beethoven was to pun with respectful awe a half century later, “not ‘brook’ but ‘ocean’ should have been his name.” It is a name of vast musical reputation as well. For over 250 years, members of the Bach family provided every type of prevailing music: for small-town functions, liturgical church works, and later cosmopolitan concertos and symphonies. Perhaps it is not a gharana, for so many styles are represented in the long family history that one would be hard-pressed at times to identify the similarities between fathers and sons; yet the family was professionally musical in the same sense as the khandans of the Hindustani traditions. In his youth, Bach learned his trade in the family household from his older relatives. Through both rote learning and later by copying manuscripts, he mastered the vocal and instrumental styles of his era. He was proficient on the violin and keyboard, and in a somewhat Indian fashion, became adept at adapting music for whatever instrument might be at hand. By the time he was a young man, he had acquired the kind of practical and thorough training which is similar to that of many of the old pandits and ustads. Not the guru-shishya parampara, perhaps, but family-oriented, practical and applied. If Indian classical music was lifted, inspired, re-centred and given a new direction by the Bhakti movement, then certainly a similar statement can be made about the music of Bach. The Protestant Reformation was both a reaction and a redirection of the spiritual consciousness of the West, with a different set of social encounters than its Indian counterpart, but similar results: an emphasis on the individual’s devotional relationship with god and the expression of it in the common tongue. As Tulsidas, Mirabai, Kabir and others turned from Sanskrit to forge their expression in the vernacular, which became modern Hindi, so Martin Luther and later Bach found in the German language the immediacy and communication of the spiritual message that the old church Latin had lost. So powerful was Bach’s declamation that he is sometimes called “the fifth evangelist,” a statement strongly reminiscent of Bharata’s Natyashastra being termed “the fifth Veda” in an earlier era. The Art of the Fugue is replete with the processes that would inspire any dhrupadiya. From the practical to the theological to the scientific points of view, Bach’s vision was immense. Anyone familiar with tala, tihai and layakari has realised the connection between music and mathematics. The extension of this association into the related aspects of geometry and morphology is seen in much of the world’s art and music. Stating a theme forwards, backwards and upside down, as well as expanding and compressing it, and stating it on different pitch levels, is part of the fodder of composition, East and West. One contemporary of Bach, Leibnitz, made this beautiful statement in 1716: “Music is the hidden exercise of a mathematical mind unconscious that it is calculating.” The Art of the Fugue is replete with the processes that would inspire any dhrupadiya. Bach was working with a conscious use of numerology in this and many other of his works as well. For example, the use of musical materials derived from the number 14, which is numerologically related to the name Bach, is found in several of his works. So it is no coincidence that there are 14 fugues in the Art of the Fugue. In the 18th century, mathematics was seen as a divine science of proportion that should be mirrored in art. Bach wrote down his music note for note. He was criticised in his day for doing this, because it was an era in which improvisation was considered essential to music. Furthermore, grace and ornamentation were seen as life-giving just as it is in Indian music. Contemporary accounts reveal that Bach was capable of improvising with a level of virtuosity and fecundity of imagination which was astounding. It is little wonder, though, that he wished to preserve what he created by casting it in written form, including ornaments. Of course, when his music was intended for many voices or players, it was necessary to write it down so all could follow it. But Bach’s writing was more specific than had heretofore been seen. Still, it is an important feature of Bach’s music that it was generated by a mind that could create the lines spontaneously in an improvised setting as well. We know from his own words that the complexities of his composition required methodical working out and review, but the overall flow and ease which typifies his music can only have come about by years spent in improvisation. It has the overwhelming power and drive of an Ali Akbar Khan with the effervescent lyric outpouring of a Ghulam Ali Khan. Another aesthetic concept of Bach is very much alive in classical sangeet: the idea of rasa (or affection, as it would have been labelled in 18th-century Europe). A composition was cast in a particular feeling (affection), which was projected in a number of ways, mainly through the choice of scale and the intervals emphasised in the themes. Thus music was considered to have the power of expression of emotion and even philosophical ideas. For example, when Bach wished to show sadness (Karuna rasa), he might use a minor sixth; or thirds and fourths could indicate joy, etc. While many of these emotionally-laden figures grew out of the dictates of harmony, others are more linear and have a feeling similar to raga phrases. Bach could illustrate a concept such as separation through tone painting. Perhaps the most outstanding example is the composer’s use of a serpentine melodic figure to represent original sin (symbolised by a snake in the Bible), which is, allegorically, the separation of god and man. In the Art of the Fugue, such a phrase comes towards the end, where the composer has used a theme derived from the letters of his own name. In its final statement, this theme is transposed to come to rest on the tonic, which can be interpreted as symbolic of divine reconciliation. Significantly, the Art of the Fugue, left incomplete at the master’s death, breaks off at this point. A further technique of Bach’s day was to use specific instruments to suggest one colour or mood in a composition. These instruments are featured throughout a movement of a work in a solo capacity so that one timbre dominates. Trumpets would cry out in triumph and joy (vira rasa), and shenai-like double reeds might impart a rustic sadness. Later western orchestras tended to blend instrumental colour so that one given rasa did not predominate in the same sense. Indian music does not really raise the issue, except for the dominance of one timbre and colour in instrumental music. Tempo would be another part of the unifying aesthetic. The mood was not distorted by changes in laya; once the beat commenced, it was maintained steadily throughout the piece, not unlike Carnatic and much Hindustani music. However, fast compositions could be grafted together in sections to slower ones, a practice not usually found in sangeet, where the movement is commonly from slow to fast. Bach’s pieces in faster tempos have a running pattern of notes which carries the music along in perpetual motion, hence the Latin name for this style, perpetuum mobile. This atmosphere of nonstop movement is further enhanced by the overlapping of melodies. Where one stops, another begins, so that the forward motion is continual. This is rather unlike the music of both khayal and dhrupad, where the arrival at the sam of the tala or the reintroduction of the mukhda of the composition will bring a variation to a summation or climax. It is more like the effect of tappa, perhaps, or the headlong rush of the jhalas of tarana or instrumental music, which creates a similar effect, the elation of motion. Moreover, the perpetuum mobile style is very definitely a part of solo tabla playing, where kaida and raila variations succeed each other in a continuous stream; and in the footwork of Kathak dance, where a succession of variations is presented without interruption. In some of the music of Bach, especially in the pieces for solo instruments and concertos, the compositions incorporate taans: chhut, sapat and alankar. Often highlighted for their virtuostic displays, taans can also be used for their character as musical fabric and texture, especially the alankars. Bach, I am sure, would have taken great delight in the alankar taans of, say, Kesarbai Kerkar. This article was originally published from the Archives section by the National Centre for the Performing Arts, Mumbai, in the May 2017 issue of ON Stage – their monthly arts magazine.